Many of our customer wondered on how our production process. Some may ask, why is it took until maximum three months to received the full product? WOW! It's a long awaiting time. We understand you very well as our customer, and until now we are still improvise our services and try to achieve our target to make our production ready to collect within 1 month. 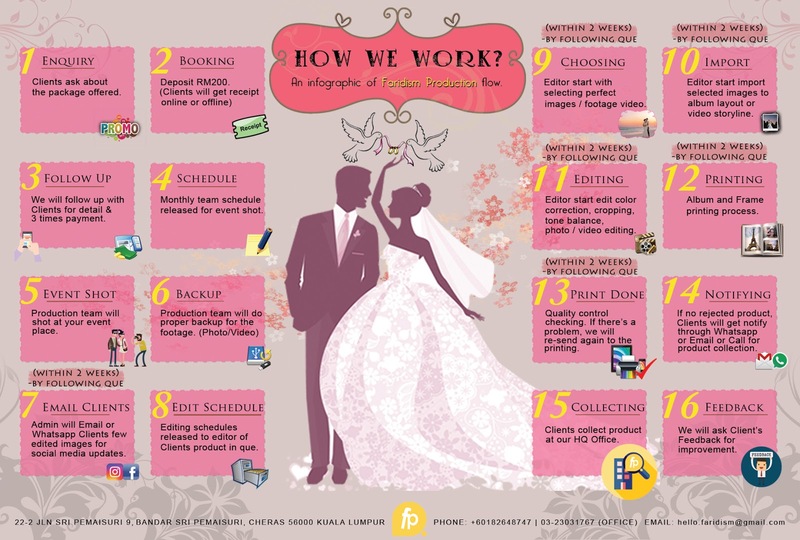 Thus, to make it clear for our client, here is the production process of Faridism Production for customer perusal. 'Why, how and when' you will get all the answer here :) Cheers ! First step, client will send enquiries then we will answer and explain all of our packages offered in Faridism Production. For an example, photography, videography or live update services. Next, clients are advice to pay RM 200 (Deposit) to booking and lock the date as requested. After that, the schedule for the shooter team will be released. The photographer and videographer will get the notification about the details of client’s event and also the date, event venue etc. 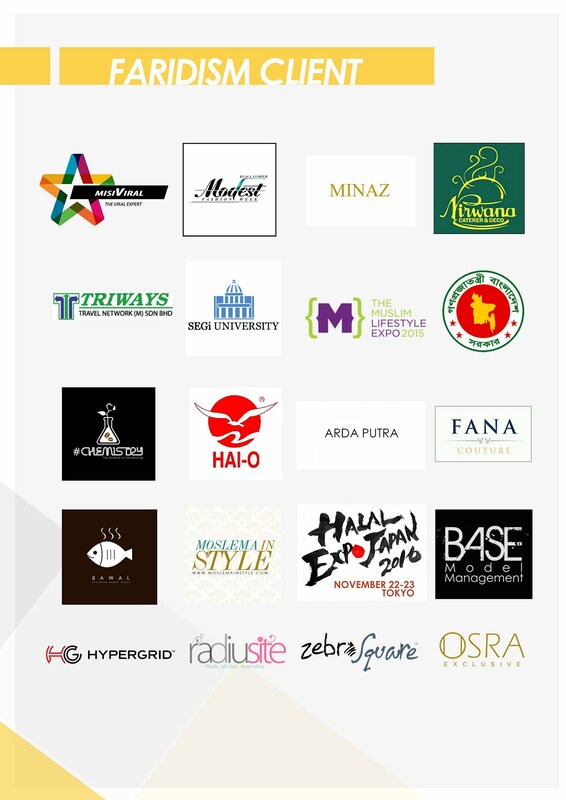 Our production team will be at event place as requested by the client and ready to shoot. Our team will be punctual/on time to your event or else, it will effect shooter’s KPI. This process is very important, all of the footage of the event such as photos and videos will be backup in few places such as online, offline, external hard disk and computer. Yes, we will send you a notifications regarding our social media updates and a few edited photos of you will be update in our website too. This is for you, your family and friends to see your pictures before the product complete. So, this schedule is to allocate the task for the team member based on their duty. For an example, editing pictures and videos. By following the queue with other client’s footage, the editor will choose and select the best photos and footage videos before editing. After that, all of the selected pictures and videos will be place in album layout as well as video story line. This process is important. The editor will make sure to improve and re-touch the footage to make it more standout. Next, the printing process will be conducted during this step. Usually, it takes within 2 weeks to be done. After finish printing, we will check the product (Album) for quality control and if we are not satisfied with the quality of the product, we will re-send again to the printing. Clients can walk in to our office to collect the product. We encouraged client to give their opinions and feedback for our own improvement regarding our product and services.